How do you know when your alarm clock is hungry? When it goes back for seconds. 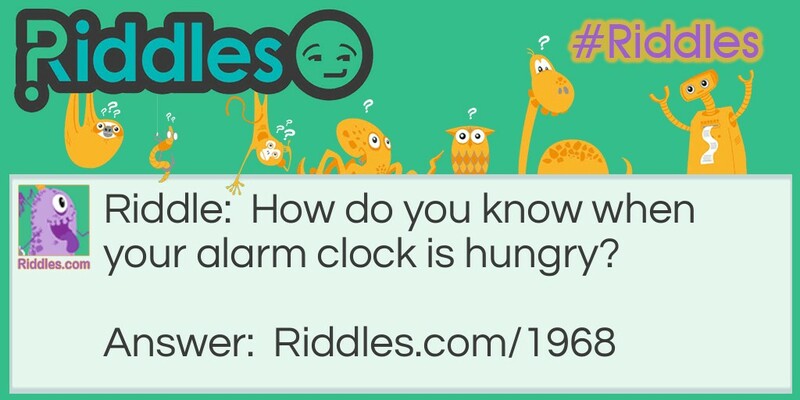 Still Hungry Riddle Meme with riddle and answer page link.